‘Tis the season to celebrate! Winter brings snow, ice, and plenty of reasons to spend time with your loved ones. Whether you’re hosting a family gathering or a professional soiree, there are a few key things to keep in mind when organizing any type of event. Check out some of our tips below and plan a holiday party to remember! When deciding on what kind of food to feature at your party, some determining factors can help influence your decision. Consider the venue where the party is held. If there is enough room for everyone, a buffet or a sit-down dinner are excellent options. If the soiree is in a facility with standing-room-only or bar seating, passed hors d’oeuvres or small finger foods are better. 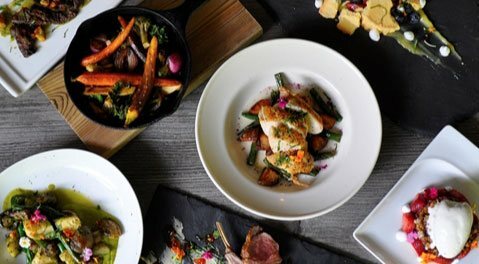 When it comes to the menu, it’s important to offer a mix of dishes that can accommodate most food restrictions. Including a small selection of vegan or vegetarian choices will show your guests that you’ve really thought of everything. For the meat dishes, it’s smart to include one poultry or fish option as well as one that features red meat. Your party’s venue is the first thing that your guests will see, so choose carefully in order to create the desired atmosphere. Table linens and china aren’t well-suited for a casual gathering, especially one that might include children. Likewise, if your guests are wearing formal attire, they won’t want to sit on folding chairs. Another important factor to consider when finding a venue is the size. You want to have enough room for everyone to move around comfortably, but you don’t want to pay for space you won’t need. Pay attention to a venue’s guest limit. It may seem tempting to want to squeeze one or two more people into a room, but partygoers won’t appreciate bumping elbows all night. While venues may have decorations available for events, you’ll probably want to put your unique spin on things. The Potting Shed at The Settlers Inn (and a vendor at Art on the Edge at the Hawley Silk Mill), has an excellent selection of seasonal gifts and decorations. It’s a great place to go for a table runner, decor, and place settings! 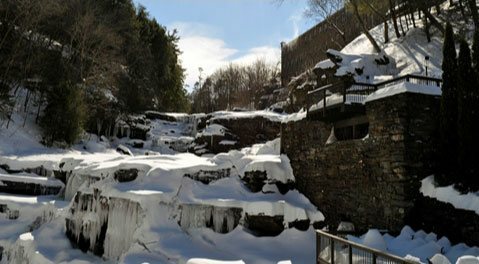 If you’re hoping to plan a holiday party to remember in Hawley, PA, then you’re in luck. There are three excellent venue options available, as well as one fantastic catering company that will wow your guests. The Settlers Inn, our sister property, is an excellent option for a wide range of events. They offer three packages for holiday parties, from small gatherings to larger affairs. 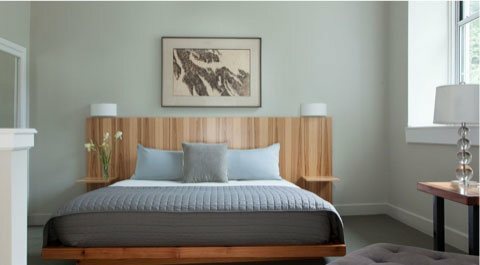 If you have out-of-town guests coming, you’ll definitely want to take advantage of their midweek room special. Your party will earn one free room for every 10 guests of the inn. If you book your holiday party by October 31, 2018, you’ll receive a complimentary champagne toast and a raffle prize for your guests! Silver Birches, another nearby sister property, has two beautiful rooms available for events. The first, Waterfront Room, can accommodate up to 300 people. The second is The Starboard Room, which can host up to 45 guests. If you have a very small group, consider joining Silver Birches for their Open House Holiday Party on December 8 or the Holiday Brunch with Santa & Show on December 9! Silver Birches also offers the same midweek room special, as well as the champagne toast, and raffle prize to guests who book by the end of October. For a smaller gathering in a chic, modern setting, book your event at Ledges Hotel! Our wonderful onsite restaurant, Glass – wine. bar. kitchen is available for party rentals. 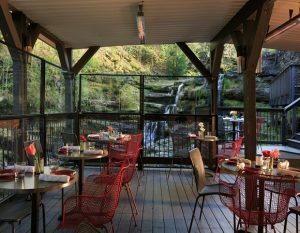 Your guests will love mingling on our deck overlooking the river gorge falls or enjoying the items on the outstanding all-American wine and beer list. Another excellent location is The Boiler Room at the Hawley Silk Mill. The team at that facility can help you plan an event to remember, from organizing catering services to entertainment. The Boiler Room can accommodate up to 75 guests. If you’d prefer to host your holiday event at your home, Cocoon Catering at Hawley Silk Mill offers delicious party platters to-go. They have options for breakfast, lunch, dinner, and desserts. Enjoy a delicious spread of food at your next party without having to turn on an oven!